Think of good presentation skills as the petrol that powers your vehicle towards its ultimate destination. 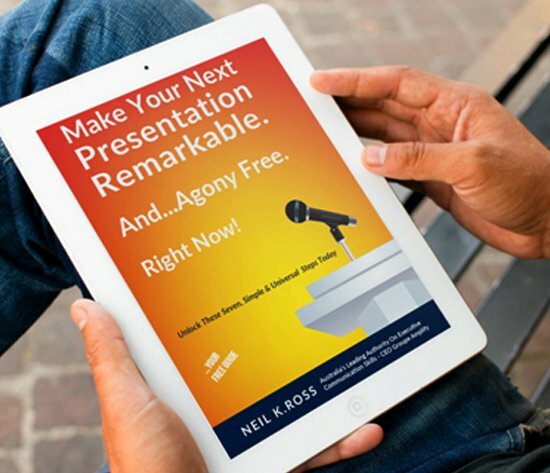 Presentations are the key to getting critical messages across to your target audience. It could be that you’re trying to equip employees with the knowledge needed to offer excellent customer service or pitching a new marketing campaign to the executive board. Whatever the reason, good presentation skills can enable you to deliver captivating presentations that deliver your message. So what should you make sure to avoid when putting a critical message across to your audience? I’m sure all of us have attended a boring presentation where the message wasn’t clear and the real message or point of the presentation was not given to us until the very last minute. You don’t want your audience to sitting there in idle and wondering why it is they are there or what’s in it for them. All too often, presenters make the mistake of jumbling up the message and saving the most relevant content for last. They assume people are paying close attention and following along. Wrong! Just because people came to your presentation doesn’t necessarily mean that you have their undivided attention. In fact, the average attention span for most people has fallen from 12 seconds in recent years to 8 seconds. That’s even less than the attention span of a goldfish! If you really want to get your message across, don’t delay it. Start with the key points of the presentation upfront, and yes, make your purpose and the benefit to those listening loud and clear from the beginning. Back in the day, when PowerPoint was new and interesting, presenters had the luxury of embedding their messages in lots of text jumbled in with a few visuals for effect. It was their hope that the audience would come along for the ride and filter out the key points of the presentation. But these days, with people flooded by information, this is a sure way of losing their attention. To hold attention you need to be brief, specific, and always mention how your message ties into how the audience will ultimately benefit, i.e., the payoff. So, the key point to remember is to make an up-front promise that rev’s up the audience’s attention. And then keep your message points clear and concise.